I can easily fall prey to our “fix-it-quick”, culture, tossing out truths that are, well, true, but fail to hit their mark. In fact, there’ve been times when I’ve caused more harm than good. When I’ve hurt others and damaged relationships. Usually my motives were good. I desperately wanted friends and loved ones to come to Jesus. I wanted them to experience the life, healing, and freedom only He can offer. But in my zeal (often coupled by fear), I took off running and verse touting and left the Holy Spirit far behind. I was convinced I was right. After all, I only spoke truth, and truth sets people free, right? Besides, Jesus never shied away from hard conversations, nor did He worry about offending people. When He encountered the adulterous woman, didn’t He tell her to go and sin no more? And the “invalid” He healed by the pool of Bethesda to stop sinning? In other words, Jesus addressed each individual individually, speaking directly to their deepest needs, deceptions, and unique stumbling blocks. But He had something you and I don’t—insight. Jesus knew the history, hurts, and fallacies each of them held. In fact, He knew each man and woman better than they knew themselves. So when He spoke, He always hit His mark. You and I don’t have that insight, nor do we always invest the time necessary to gain it. At least. When engaging others in spiritual conversations, I didn’t even consider there might be deeper issues involved. But then God reminded me of my story. Through I trusted in Jesus for salvation at a young age, I didn’t begin growing in Him until my early adult years. Actually, for a while I spiraled in the opposite direction, living a drunken, partying, throw-myself-away type of lifestyle. By the time I met my husband, I was consumed with shame and self-loathing. Around then, pastors started coming around. Not just one, but two. One would come knocking at our door, would step inside and talk with us a bit, and then leave. Another took my husband and I out to lunch with him and his wife. I don’t remember much of what either of them said, but I do recall the warmth in their smiles and the easy way they conversed. I remember the way they made me feel—safe. Loved. Welcomed. Had those men come at me with “truth”, they only would’ve deepened my shame and pushed me away. They would’ve confirmed to me what I already believed—that I was worthless and disgusting. Bad. Not just that I was doing bad, but that I was bad. I understood that I was a sinner. What I didn’t understand, what I needed to see, was grace. That’s exactly what those pastors showed me. With every interaction, they revealed the gentle love of Christ. A love that beckoned and drew me, that healed me bit by bit, and ultimately, transformed me. Because Jesus knew my story. He knew what was keeping me from living in His will. While it’s true my lifestyle was very contrary to God’s desire for me, this wasn’t because I was actively trying to rebel against Him. Rather, it was because I’d given up on myself. I needed Jesus, revealed through the grace-filled actions of others, to rekindle my hope so that, eventually, I had the desire to reach for life. Please don’t misunderstand. I’m not saying we should never speak truth nor that we should accept or coddle sinful behavior. What I am saying is we should approach each broken, hurting child of God carefully and prayerfully, being careful to follow the Holy Spirit’s leading. I often think of how I might talk to someone standing on a rooftop, ready to jump. I think of how alert, how attentive, how “others-focused” I’d be. My greatest desire in that moment would be not to say anything that would tip them over the edge and to coax them, ever-so-gently towards life. Let’s talk about this! Is there someone you’re trying to reach out to? How can you build trust and get to know them better—beyond surface level? Would you add anything to my thoughts? Do you perhaps disagree? Share your thoughts and feelings in the comments below. Such a beautiful, necessary, and truth-filled statement. I shared the song last week, and due to copyright laws can’t really share the lines I love here, without sharing the song again. But the first line gets me every time and really reiterates, I feel, what author Maria Morgan is saying in this post. So, listen to this song, then read my dear friends thoughts on the Superhero within each of us. And then go visit and subscribe to her blog, because she’s such a talented author with a heart set completely on Christ. Have you ever wanted to be a superhero? From incredible strength and speed to x-ray vision and the ability to disappear, superheroes have extraordinary powers they use to help others. I remember watching The Six Million Dollar Man and The Bionic Woman when I was a kid. Although they weren’t true superheroes, I imagined what it would be like to have supersonic hearing and bionic legs that would make me run circles around the likes of Florence Griffith-Joyner. Silly, I know. Although I’ll never have the keen hearing to pick up what’s being discussed a mile away, or the speed to out-run the fastest woman in the world, as a believer, I DO possess supernatural power. When I trusted Jesus Christ as my Savior, something miraculous took place – He made me His child, and sent the Holy Spirit to live within me. It’s nothing short of amazing to discover the things the Holy Spirit can do in my life to draw others to Christ: “But the Comforter, which is the Holy Ghost, whom the Father will send in My name, He shall teach you all things, and bring all things to your remembrance, whatsoever I have said unto you,” (John 14:26; KJV). part of my day, the Holy Spirit helps me produce good fruit: love, joy, peace, longsuffering, gentleness, goodness, faith, meekness, and temperance. Several weeks ago, I met a friend for coffee at Atlanta Bread Company. The cash registers were down and the girl taking our order apologized for having to write everything out manually. She seemed a bit distraught and I thought about slipping her a gospel tract. As we moved to the end of the counter, she handed me my receipt and I told her I hoped her day improved. My concern caught her by surprise. She shared that her Dad was in the hospital with cancer and she was waiting to hear from her Mom about his prognosis. It was a heartbreaking situation that opened the door for me to pray with her and to leave her with a tract introducing her to the Heavenly Father. Keeping our spirit in tune with the Father’s heartbeat trains our eyes to see things we’d normally miss. God wants to use us to point others to Him. *Love gives without expecting anything in return. *Joy is a result of putting Jesus first, others second, and ourselves third. *Peace is not an absence of conflict, but is the product of embracing prayer and thanksgiving in the midst of the storm. *Patient endurance in the face of suffering speaks volumes. *Gentleness gets the attention of those who treat others with rudeness. *Demonstrating consistent faith and faithfulness testify to a great God. *Meekness is strength under control, someone who is free from pride. *Temperance or self-control is powerful in an “if it feels good do it” society. We’re able to display each characteristic of the delicious, satisfying fruit of the Spirit as we yield to the Lord Jesus Christ. When we do, He can use this fruit to powerfully impact others. Be fruitful. Is the fruit of the Spirit evident in your life? Will you yield to the Lord today? Share your thoughts in the comments below or at Living by Grace on Facebook. Prayer: Heavenly Father, thank You for Your patience with me. Forgive me for the countless times I’ve tried to do things for You in my own strength. I know it’s not possible. Help me yield to Your Holy Spirit so I’ll be able to point others to You. In Jesus’ name, Amen. You can enter to win a copy of Maria I. Morgan’s latest release, Outrageously Fruitful, a 10-week fruit of the Spirit Bible study, by leaving a comment below! *Deadline to enter is midnight Eastern Standard Time, Sunday, December 20th, 2015. Winner will be chosen by a random drawing and notified via email. Maria I. Morgan in an inspirational writer and speaker. She is the award-winning author of Louie’s BIG day! Regardless of the age of her audience, her goal is the same: to share God’s truth and make an eternal difference. How often do we take God’s delay as “no”, or perhaps even lack of care. As if, because we can’t hear Him, He’s suddenly not listening? Waiting, on anything, is incredibly hard for me, and I think, if I were to get to the root of it, I’d find, my impatience stems from a lack of surrender. If you’re following our Fear of the Lord/Resting in Christ study, you may remember our discussion on half-hearted trust. Oh to surrender our whole hearts, our whole selves, to Christ, even in, especially in, times of waiting–what peace and joy we’d have! These were the thoughts running through my brain as I read Kimberly Rose Johnson’s devotion. As you read her devotion, think of whatever it is you’re waiting on and how you can trust God with your whole heart, as Proverbs 3:5 urges, while you wait. In 1 Samuel 13:8-15 Saul had the same problem. He was impatient for Samuel to arrive and offer a burnt offering to God. He finally lost his patience and offered the sacrifice himself. Big mistake. Verse 13 tells us that God would have established Saul’s kingdom over Israel for all time if had he waited in obedience, but that wasn’t going to happen since he didn’t wait. I remember several times I ran ahead of the Lord without giving a thought to His plan and guess what? I ended up doing more harm than good. If I had sought His will and timing I could have saved myself a lot of grief. It’s not always easy to wait on Him or do the things He asks of us, but when all is said and done His ways are better. Kimberly Rose Johnson, soon to be empty-nester, lives in Pacific Northwest with her husband and their yellow lab. 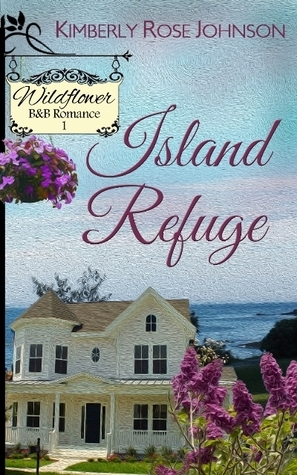 Island Refuge is her sixth book and the first in a series of three. Kimberly enjoys long walks, chocolate, and mochas, not necessarily in that order. And for those following the Resting in Christ study and who prefer watching videos in 5-7 min chunks, here’s part 2 of my talk. Shoot me a message or leave a comment on this post if you’d like me to send you a copy of the 7-day study that goes with my presentation. You can also join our Facebook study group. You can do so HERE. I’ve learned so much from the other group members! It’s always awesome to talk about Scripture with other believers. You might also enjoy this song, which talks about serving Christ while we wait. Let’s talk about this! How easy is it for you to wait on Christ? What are some things you do while you wait? 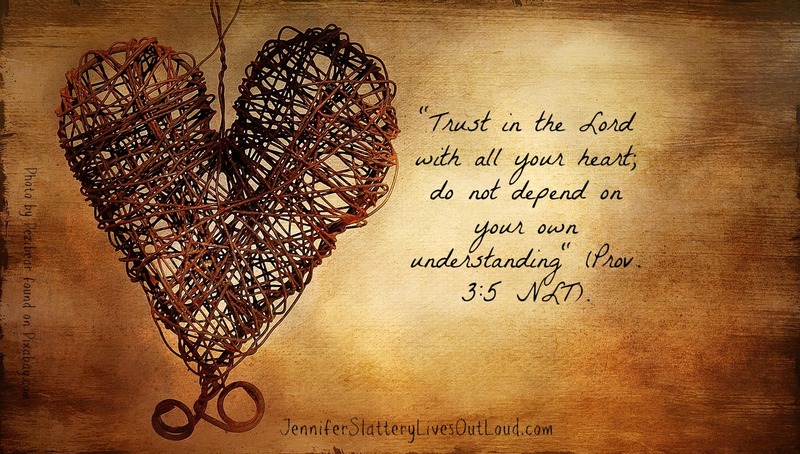 What are some ways, in your opinion, we can “Trust in the LORD with all [our] heart; do not depend on [our] own understanding” (Prov. 3:5)? Share your thoughts here in the comments below or at Living by Grace on Facebook. Now that’s passionate typing, or a very sensitive teen. By complaint number five, I assumed the latter. Throughout the day, I wiggled my foot, breathed to loud, shifted too often. After a rough oral surgery, followed by a few days of bed rest, my daughter was going stir crazy. Not only that, but she was overdosing on parental time. On night three, having all the mommy-time she could bear, she grabbed her bags of ice and trudged upstairs for some much-needed space. Her reprieve was short-lived. At two am, awakened by pain, she sought me out, only to fall down the stairs with a loud crash and a high-pitched cry. I jolted awake and ran to her, comforted her, and guided her back into my bed where I could monitor her more closely. The following weekend, we went to Omaha for house hunting, which placed our now claustrophobic (her words, not mine) daughter in a 300 square foot hotel room with both parents. By this point, even a look was enough to make her teeth grind, not a good thing, considering the state of her mouth. As my husband and I chuckled about her behavior, God used the moment to prick my heart. I’d been the same way with Steve. Like my daughter, I’d let little things, minor irritations, urk me, only my behavior wasn’t comical. My role is to build up my home, not to tear it down, to support and encourage my husband, not to nit-pick him verbally or mentally. This week I’m memorizing Colossians 3:12-13: Since God chose you to be the holy people he loves, you must clothe yourselves with tenderhearted mercy, kindness, humility, gentleness, and patience. Make allowance for each other’s faults, and forgive anyone who offends you. Remember, the Lord forgave you, so you must forgive others. It’s helped. When I’m tempted to get annoyed, God reminds me of this verse, and effectively defuses my irritation. When centered in God’s Word, I realize how petty most of my annoyances are and what a treasure my husband truly is. In other words, the Scripture passage “transforms my thinking” (Romans 12:2) and “judges the thoughts and attitudes of my heart” (Hebrews 4:12). Although we’re nearing the home-stretch with our home purchased and only one more hotel stay left (the hardest part for each of us loners), I know stress will come and pet peeves will happen, but when they do, I pray God will remind me of my comical-yet-not-so-funny, eye-opening time with my daughter. And may He grant me the patience to make allowances for dirty socks found in sheets and crumbs left on counters, or whatever minor “faults” might arise. 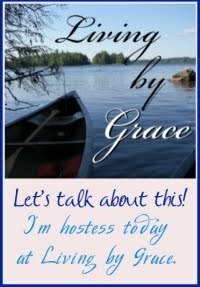 Join us at Living by Grace as we talk about all those little things that drive us crazy in a given day, and how to handle them with patience and grace. Stop for a moment to contemplate some of your pet peeves in light of the verse above. How can you “make allowances for each other’s faults” today? And how might that change the atmosphere in your home? Patience is not my strong point. I like to do, to know I’m moving forward, making progress, which makes waiting on God especially difficult. I often tell Him I’d do better if He’d give me a hint of His future plans. Or better yet, a point-by-point memo. In leu of that, a neon sign would be great. And yet, despite my snivelling, God continues to lead me step by step, teaching me not only how to do His will, but more importantly, to trust in Him. Today’s post, by Staci Stallings, reminds us silence isn’t necessarily a no. I think that this is absolutely the best thing I have learned in my writing journey: God is faithful all the time. Trust Him, and He will lead you in every moment EXACTLY where you are supposed to be in that moment. You may not know it or see it or understand it, but when you look back, you will see the fine and perfect tapestry He’s been weaving the whole time. For me, this lesson comes in several ways (some more fun than others). #1 The YES times! This would be the moments when it all makes sense, when I see God at work most clearly, when the perfection of His Will and what He’s doing is not just a glimmer but a full-on, turn the spotlights on moment. The completion of a book I didn’t know how to finish. The right person showing up at just the right time. That flash of understanding when you just KNOW how a story all ties together. I’ve had all of these and so many more. #2 The NO moments. I heard a story one day about two little boys who came into their father’s house with a box. As they headed to the basement, their father stopped them to see what was in the box. It was their new project: two snakes! Guess what the father said? NO! Well, just like those boys sometimes my Dad tells me no, and most of the time I’m just as disappointed as they were. But the truth is when God tells me no, I see it now as His way of keeping me from doing something that would ultimately hurt me–like putting snakes in my basement. “No” might be a contact I thought I needed falling through. It might be a path I thought was going to be great not working out. It might be MY agenda not working out like I’d planned. 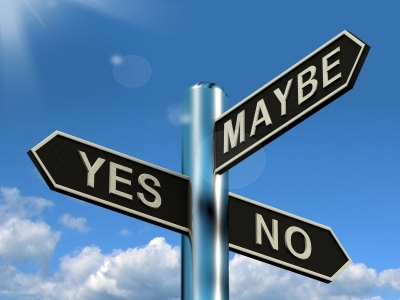 Do “no” moments make me frustrated? Yes. They do. But when I can breathe and remember that God’s got my BEST in mind–not just a momentary good but an eternity good, I can let go of my way and grab onto His. And He has shown me over and over again how awesome things work out when I do that. #3 The NOT YET moments. Oh, have there been a lot of these! I tend to want to force things to go my way. I get in a hurry for them to be done and get frustrated with myself when I can’t do everything. But God my AWESOME FATHER uses “not yet” a lot–both to bring about His perfect timing and to teach me to not rely on my plans, my agenda, myself but to always rely on Him. I get a lot of “not yet” moments when I’m writing. I get going on something and then something else comes up (I have a lot of something elses around here!). I get stopped on the story. And I get frustrated with it. One story I literally did this for SEVEN YEARS! But when the book was finally finished, I understood why God said, “Not yet” repeatedly… because the book could not have been the book it is without the lessons I’d learned over those seven years. I was a different person than I had been when I started writing it. So now, not yet moments don’t throw me like they used to. It’s okay. God’s got this one too! #4 The GO THROUGH IT WITH ME moments. These, I have to say, are the hardest. Some call them the valleys of life and of writing. Oh, these are HARD! And when they come up, my heart breaks, my world shatters, and I wonder “How can God make something good out of THIS?” But I will tell you, the two most difficult “go through it with Me” moments of my writing career brought two of my best friends into my life. One of them, not knowing me at all, edited two chapters I had sent out through my newsletter. She bled on them and then sent them back to me! I didn’t know what to do with that. Should I be angry? Should I write her back and give her a piece of my mind? Should I be hurt? Should I quit? Finally, I decided to rest in God and just see… The next month I sent out the next two chapters of my cyber-serial. In about 30 minutes I got this message back. “OH! I’m SOOOOOOOO sorry! I thought those were from my critique group! I’m new to all of this and I edited the wrong thing…” hahahah! I still laugh about that. Deb, not quite as much, though she can laugh now but it took her a long time to get to that point. The thing is, Satan threw that at both of us to take us both out. He wanted to undermine my following God and He wanted to take her out altogether. Because I let GOD handle it and not myself, we became best friends, and God has worked miracles through that relationship. I helped her with editing. She’s now a multi-published author. God is awesome! A stay-at-home mom with a husband, three kids and a writing addiction on the side, Staci Stallings has numerous titles for readers to choose from. (Pick up the Price of Silence now for only $0.99! http://www.amazon.com/The-Price-of-Silence-ebook/dp/B004E9U7P6.) 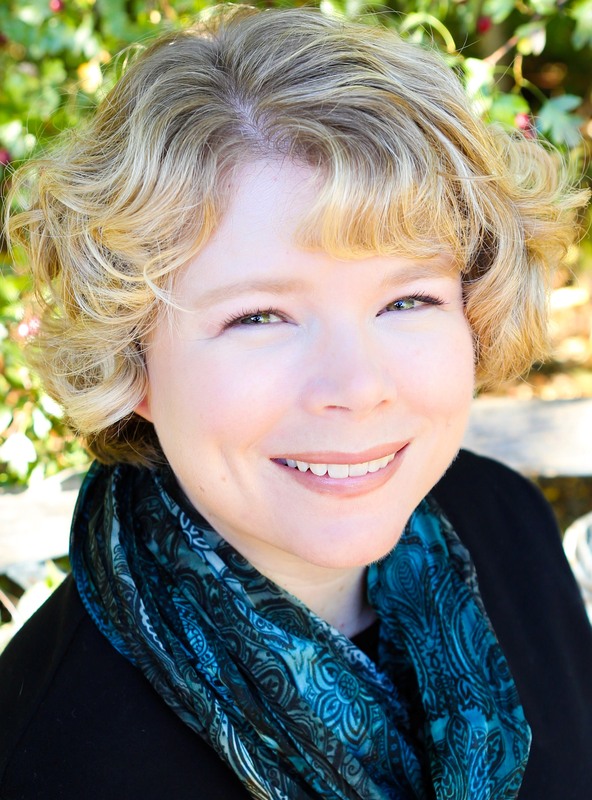 Not content to stay in one genre, Staci’s stories run the gamut from young adult to adult, from motivational and inspirational to full-out Christian and back again. Every title is a new adventure! That’s what keeps Staci writing and you reading. She lives in Amarillo, Texas with her family and on the internet at http://www.stacistallings.com. 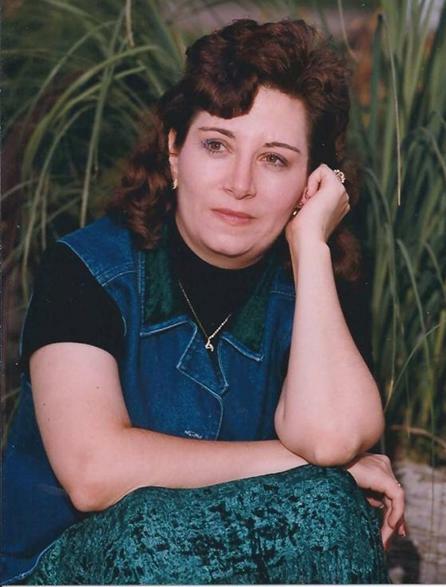 Find out more about her books at http://stacistallings.wordpress.com and http://spiritlightbooks.wordpress.com.